How does inverter technology, present in Cattani’s SMART suction units, benefit the dental practice? If you have multiple chairs, the number in use inevitably varies. A traditional suction unit will maintain the same performance, whether one chair is in use or, say, all four. Consequently, the level of suction will vary, which can adversely influence the procedure and even irritate the patient. With inverter technology, sensors measure the demand for suction and other factors like suction tip size and the amount of fluid being aspirated, and adjust output accordingly, so flow remains at the ideal, constant level no matter how many chairs are in use. That also means no energy waste, so that comes off your power bill. With regard to built-in redundancy, when Cattani suction units with inverter technology are installed in parallel, and for some reason one of the units fails, the system will bypass that unit and clinical operations can continue – even during repairs if they are required. You say that the SMART Cube suction system is half as loud, but how can that be so when, for example, the standard Turbo SMART A has a decibel level of 69 while the Turbo SMART A Cube has a decibel level of 58.4? It’s the way the decibel system works. A 10 decibel drop halves perceived loudness. So 60dB is half as loud as 70dB, 50dB is a quarter as loud as 70db and so on. So if anything, “half as loud” is a conservative representation of the facts in the Turbo SMART example above. Can an amalgam retention system be retrofitted to my existing SMART suction system? Most definitely. With the Cattani Hydrocyclone, this is an easy and quick process. The technician can have the separator installed and the system back up and running in less than an hour. Is there much involved in looking after the Hydrocyclone and emptying the canister? Who do I call to maintain my Cattani equipment? We strongly recommend that you use a technician familiar with Cattani machines. If not, and there are problems in the future, that could have warranty implications. But more importantly, why would you not use one of the many excellent technicians out there who are properly trained and certified to work on Cattani equipment? Cattani has invested heavily in a comprehensive hands-on training course for technicians in our dealer network. These people understand our machines better than anyone and know exactly what needs doing at every stage of a machine’s life cycle. My compressor isn’t working. What can I do? This could simply be that the red stop button has been pressed. Open the clear plastic case and press the black start button inside to reset the machine. If this doesn’t work, please contact your technician. The alarm on my Hydrocyclone is going off when the canister is not full. How can I prevent this from happening? This is invariably caused by one thing, and is easily prevented. The Hydrocyclone has two sensors that pass through a rib on the side of the canister: one to trigger an alarm when the canister is 95% full, and the other when it is 100% full (at which point the unit will automatically shut down, so change the canister before this). However, sometimes bacteria may grow in the rib, blocking the sensor and setting off the alarm. The rib can be cleaned with an appropriate brush, but we recommend that you contact us or your service technician for advice first. The best solution, as always, is prevention, and the best prevention is to be very thorough in the system disinfection process at the end of each day. After you have run the disinfectant through the hoses, hang the hoses up but leave the system to aspirate air for as long as possible, thus ensuring that the hoses are cleared and the disinfectant runs all the way back to the suction unit and the Hydrocyclone. This will almost certainly prevent the build-up that causes false alarms. How often does an amalgam separator canister need replacing? This depends entirely on how many chairs the Hydrocyclone is connected to, how much the chairs are used and also what type of dentistry is practised. But one canister will take months to fill and could last up to a year. I am setting up a dental practice and need suction and compression. Who do I talk to about Cattani equipment? In the first instance you are welcome to speak to us directly (see our contact details at the foot of this page). We will give you general advice and also direct you towards the numerous dealers who sell and service Cattani equipment. Ultimately, because they can make site visits and spend more time with you, dealer-technicians are best placed to give advice specific to your practice. What are the guidelines for installation of suction and compression equipment? General guidelines can be found on the Equipment Installation page. However, to achieve optimal performance and comply with all safety requirements, you will need a qualified and trained technician to give more detailed advice. What exactly is After Care? It’s like a pro-active insurance for your plant room equipment. It’s a fully transparent and documented annual service programme for the life of your Cattani equipment. By transparent we mean that you know in advance what servicing is done each year, how much it costs, and what parts are being replaced. The parts are packaged in age-specific annual service kits. With the After Care programme, Cattani is doing everything it can to prevent breakdowns and eliminate surprises around cost, and if that means less stress for the end user, that’s a bonus. Why would I join the After Care programme? Because if you look after your Cattani equipment, your equipment will look after you. Plant room equipment – compressors and suction units – is the power behind the dental practice. These machines are very similar to a car engine, and every engine will last longer and perform more reliably with regular servicing. With After Care you should more than recover the cost of servicing because you will get more years out of the machine and you will minimise the risk of the equipment failing at an inconvenient time. When you think of plant room equipment failing, think of the related costly inconvenience to yourself and patients, and possible embarrassment dealing with that, if it ever happens. It depends on the item of equipment involved. There is a calculation table for every item, and your dealer can make the calculations accordingly. Our aim from the beginning has been to keep the cost as low as possible, and to prevent expensive and avoidable clinical disruptions and major repairs. Talk to your technician or dealer – they have all the information you need. The best way is to contact your preferred dealer for Cattani products.They already know about After Care and will be able to help you. 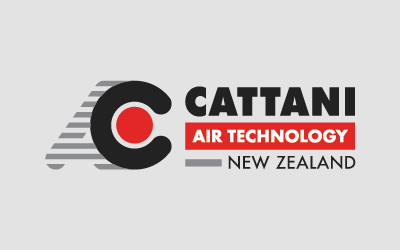 If you already have Cattani equipment you can contact that supplier, or the service technician you deal with. Otherwise we can recommend a dealer or technician operating in your area. Why would I use Cattani’s Magnolia range of cleaning products? Our Magnolia range is unusual in that it has been specifically developed by Cattani for the dental environment. We stand by the efficacy of the products, and in fact we are confident that there are none better for dentistry. The manufacturer of our equipment, Cattani Italy, strongly recommends that Magnolia products be used to ensure optimal cleaning and compliance with product warranties.